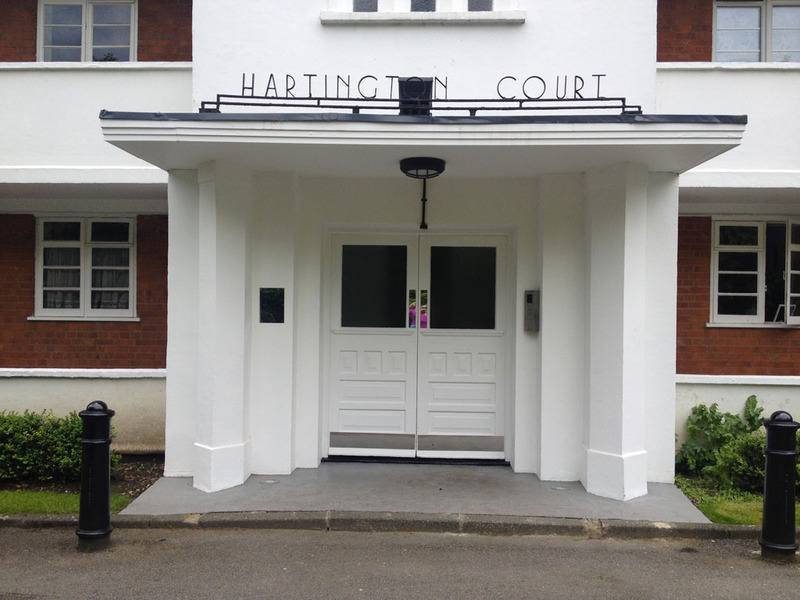 Hartington Court sits happily next door to a boat club on the Thames in Chiswick. 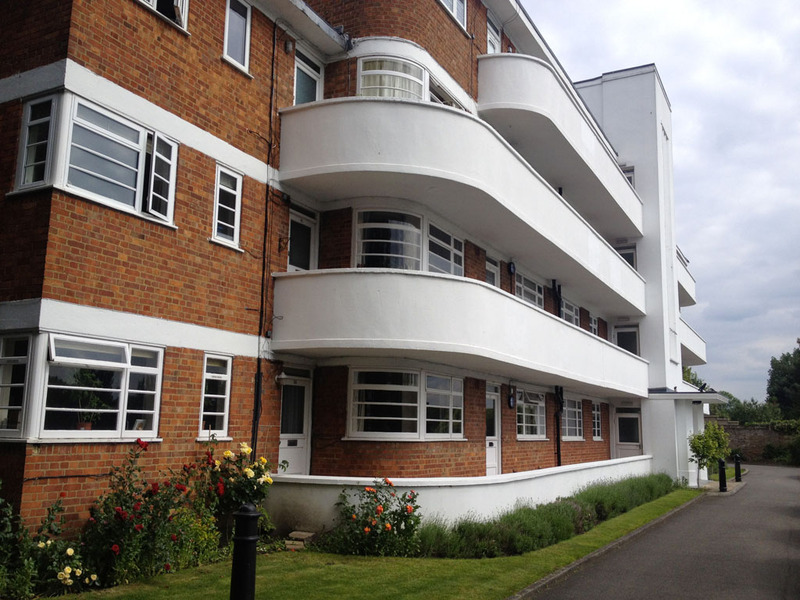 Deco features include curved ended shortening access balconies, a vertical emphasis to main doors and banded windows. 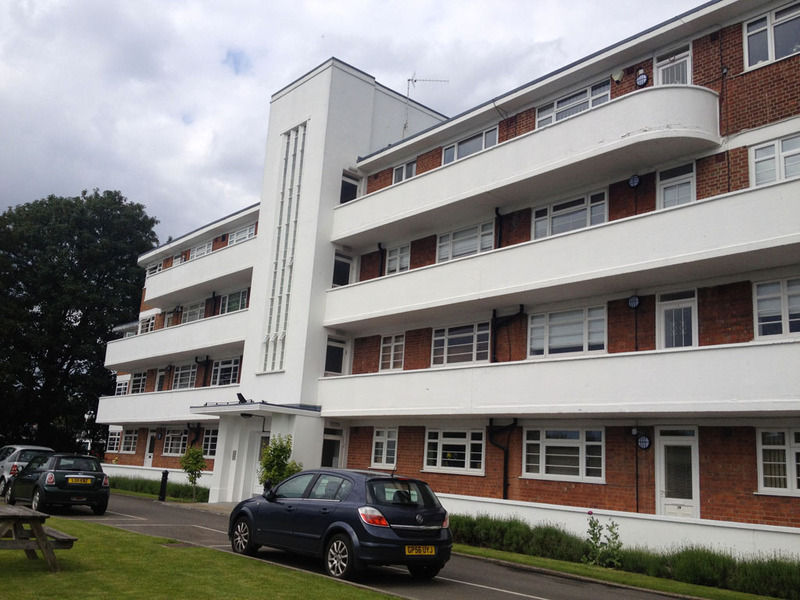 The same elevation faces the river and the street, with a more utilitarian set of elevations to the inside of the C shaped building. A really unusual feature is the access balcony which exists at ground floor - it gives some privacy to those homes and works compositionally.